We have been awfully critical of Todd Standing. Just read any of our Todd Standing Posts. If you don't know Todd Standing he is in charge of the Syvanic Bigfoot Project. The Sylvanic Bigfoot Project's goal is to obtain enough physical evidence to implement government legislation that will ensure the survival of Bigfoot. We don't really care for his evidence. We will say, after seeing him recently in interviews, he does a great job relaying many of the informational pillars of Bigfooting. Although just posted today (01-29-11) on You Tube, this 2007 follow-up video to his coast to coast interview is a nice presentation to the Giganto theory. 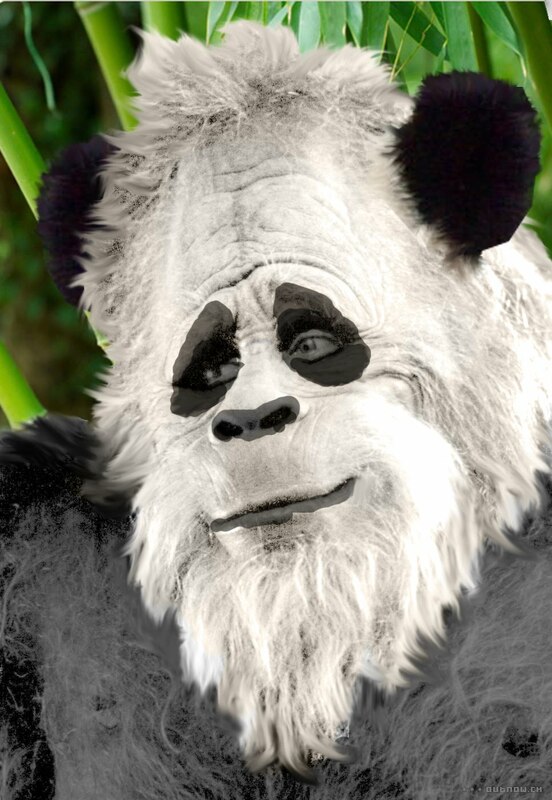 He uses the panda's reliance on bamboo as an analogue for why Giganto would have to find other food sources. We noticed there was no mention of The Sylavanic Bigfoot instead he uses a far sexier term, Rocky Mountain Gigantopithecus. He should have stuck with that, due to the criticism he has encountered. Todd claimed the area where he encountered and filmed Bigfoot was called Sylvanic by native people. Sylvan actually owes its lexiconography to the Medieval Latin sylvnus, from Latin Silvnus, god of the woods, from silva, forest. We found the video was packaged really well, it was clear and interesting and well worth the watch.